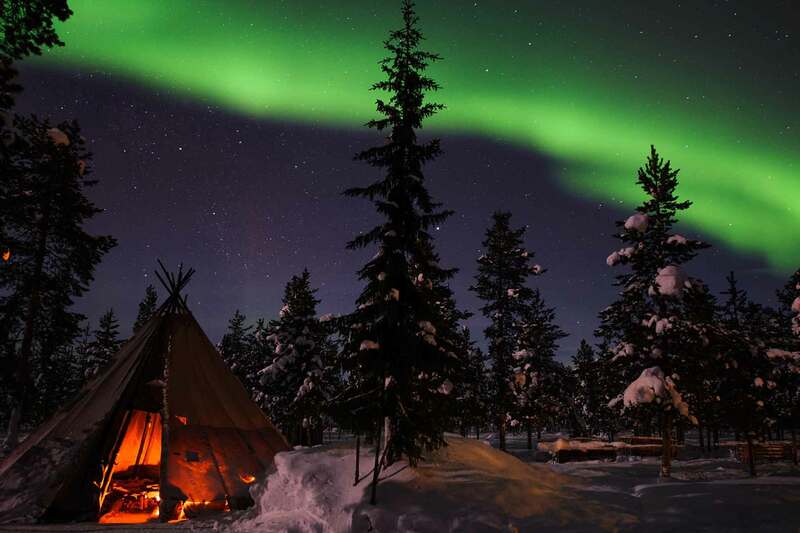 Swedish Lapland is one of the planet’s most magical destinations – and it is beautiful all year round. It is easily the most gay-welcoming place in the world to get outdoors and experience the all-day splendour of the midnight sun – and of course to watch the infamous Aurora Borealis, or Northern Lights, do its mindblowing dance across the sky. It’s a place to create unique memories – from the arty ICEHOTEL where you can have your same-gender wedding at its ICECHURCH, to the very special Tree-Hotel, where you sleep aloft (as Kate Moss once did) in luxurious and incredible pods in the sky. It’s also a place to try new things, from snowmobiling, to husky sledding, to learning about Sami traditions – not to mention other fun and adventurous activities. 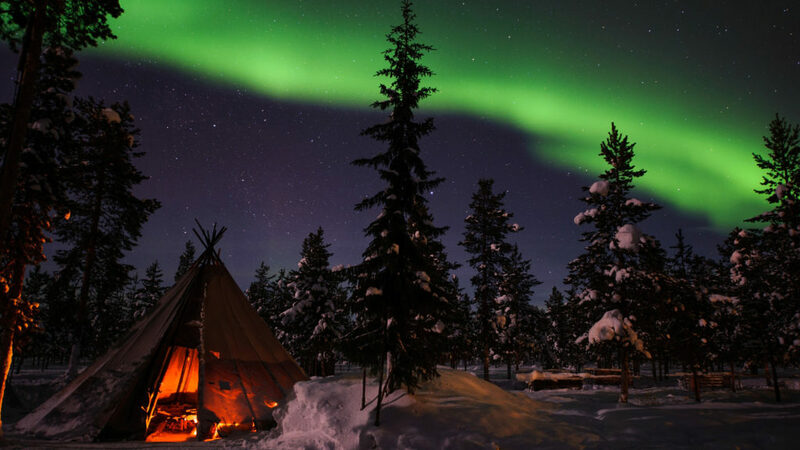 Swedish Lapland is the collective name for the northern most region of Sweden and what it has to offer. The towns of Luleå and Kiruna are your gateways to the region. In just a few hundred kilometers between the coast and mountains lies vast forests, wild rivers and unique wildlife. 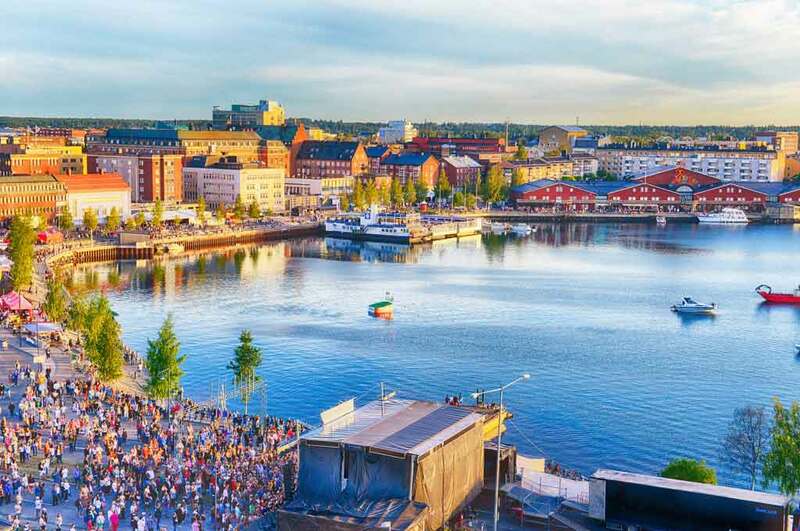 There is also great diversity between these modern towns and the nearby wilderness and the life the Sami, Scandinavia’s indigenous people, who still live by traditional patterns. The light is special; in summer the midnight sun and in winter the northern lights and the white crisp snow. Nature, the seasons and their contrasts and traditions inspire the designers and artists who live and work here. According to tradition, the food comes from the wild nature. The local raw materials consist of Moose, reindeer, fish (caught near), wild birds, mushrooms and berries, to name but a few. On your trip to Swedish Lapland you will not want to miss the exquisite, original Kalix bleak roe (Löjrom in Swedish) served with the local Västerbotten cheese and often with a glass of wine. Here you are met by authenticity and genuine hospitality, everything to make you feel at home while you find yourself far away. The coast of Swedish Lapland has thousands of islands and the archipelago is one of the youngest and most shallow in the world. The reason is that the area over a long period was covered by a thick ice sheet which began to melt about 10 000 years ago. This massive ice pressed the land down and now rises slowly again. This means that the islands are slowly but surely getting bigger every year. It’s not just the post-glacial rebound that make the coastal area special, the water surrounding the islands is significantly different from other archipelago waters. Here there is almost no salt at all due to the high volume of fresh water from rivers that flow into the Archipelago. It makes the water brackish – neither fresh nor salt. Here are also several species, which only thrive under the conditions that exist here. There is much to discover for those who are interested in flora and fauna. Where the forest lands rise up to the mountains you will find Kiruna. Located in northernmost part of Sweden it has the largest area of any municipality of Sweden. 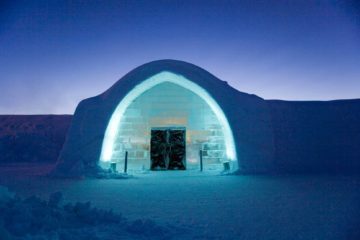 Kiruna is the home of some of Sweden’s most famous iconic attractions such as the ICEHOTEL. During the winter the nights are long and open up possibilities for experiencing the magical northern light s. You should also visit the nearby Abisko, which is considered one of the best places in the world for viewing this phenomenon due to its very low average levels of cloud cover and mountain location within the optimal Aurora zone. In the summer the midnight sun shines from the end of May until mid of July. Kings trail is Sweden’s most well known hiking trail and starts and ends in Abisko national park. In Swedish Lapland you are never far away from nature, the mountains, forest or the rivers – whatever you enjoy most. The forest is as important to us as the water, we cannot live without it. We need the forest in many ways, for firewood, building materials, as larder (meat, mushrooms, berries) and for recreation. 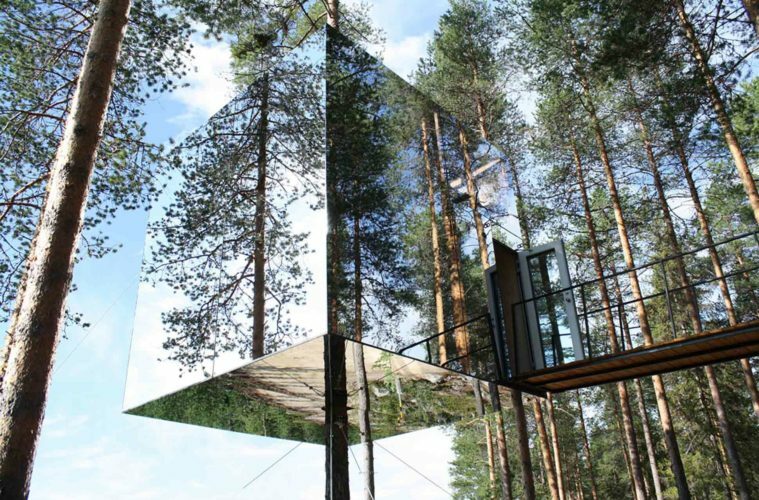 The tradition of using the forest has followed man since time immemorial. Here in Swedish Lapland, we have lot of forest, more or less cultivated. A trip along one of our roads is lined with almost endless forests. If you are lucky, you will see some wild animals as reindeer or moose along the road as well. The winter is unexpectedly light thanks to the snow so clean that it reflects the light from the sun, the northern lights and the stars. This time of the year it is easy to get out to the wilderness by dogsled or by snow mobile and accommodation can be found in hotell, cabins, lodges and small bed and breakfasts, coffee houses and restaurants. There is also the spectacular Icehotel and Treehotel that combine warm hospitality with modern design and exotic accommodation options. Winter/Spring is the favorite time of the year for many Swedish Lapland residents, when they take out their skis or a snowmobile, take down the coffee pot and sausage and head out on tour and stopping at a beautiful place. There they light a fire to boil coffee and grill sausages, and enjoy the silence – that’s quality of life! Another activity that is popular is skiing, both crosscountry or and downhill, maybe even take a trip with snowshoes. There are groomed slopes and trails at several places. Try driving-on-Ice, an opportunity to practice your skills to manage slippery conditions that often prevail here this time of year. scape your daily routine and explore new adventures in an arctic environment. You’re a long way north, around the Arctic Circle, but thanks to the warm Gulf Stream of the Atlantic Ocean you can comfortably experience all the seasons. With vast contrasts from polar nights with northern lights in a white winter landscape, to warm summers with a hundred days without night under the midnight sun. In the east – you’ll find a 300 km coast line and thousands of islands. Sandy beaches, fishing camps and unique raw ingredients. In the west – majestic mountains, streams with water so clean you can drink it and great adventures right around the corner. And in between the quiet, mysterious forest and river valleys from Skellefteå River in the south to Torne River in the north-east which all have their unique features. Traditions and culture are strong here, and the love of nature is even stronger.